Fear of the dentist is real! Statistics tell us that the high majority of all dental patients have some form of dental fear when it comes time to make a dentist appointment. This isn’t because they’re scared of their dentist, it’s because they would like to avoid any possible pain they may experience when they need dental work done. Because dental fear and dental anxiety are two very real conditions that many people have these days, it’s important for those who have a great deal of anxiety to understand that there are a number of dental sedation options that are both drug-free and needle free. 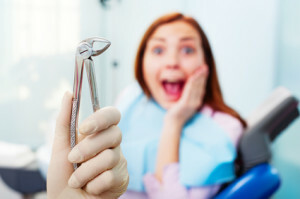 The main reason why someone is scared to go to the dentist is because they want to avoid experiencing any pain when having necessary dental work performed. This is completely understandable. No one looks forward to going somewhere where they might experience fear, pain and anxiety, which is what the majority of people feel when they start thinking about going to the dentist. Although they understand that dental sedation is often necessary when dentistry work is performed, they still have some concerns about which of the many dental sedation methods are going to work best for them. Not all sedation that are available nowadays involve using drugs or needles, which is great news; the side effects experienced are also going to be minimal. There are many choices available when it comes to dental sedation, with Nucalm, Triazolam (oral pill) and Nitrous Oxide being considered the top choices. Nucalm works by suppressing your body’s natural fight or flight impulse, which allows your body to go into a deep relaxation state. Triazolam is highly effective for treating dental fear and anxiety by acting as a depressant on your central nervous system and leaving the memories of procedures behind with hypnotic memory loss, also allowing you to enter a deep state of relaxation. Nitrous oxide has an overall calming effect that relaxes your body completely. Each of these can give remarkable results independently or they can be used in combination. If you feel a lot of fear and anxiety when thinking about going to the dentist, feel free to contact us today with any questions that you may have. We can help you determine which of the many dental sedation options might work best for you. 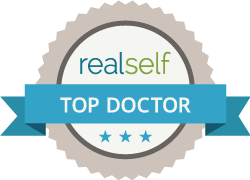 You can have the life changing dentistry you desire in a relaxed unstressed manner.